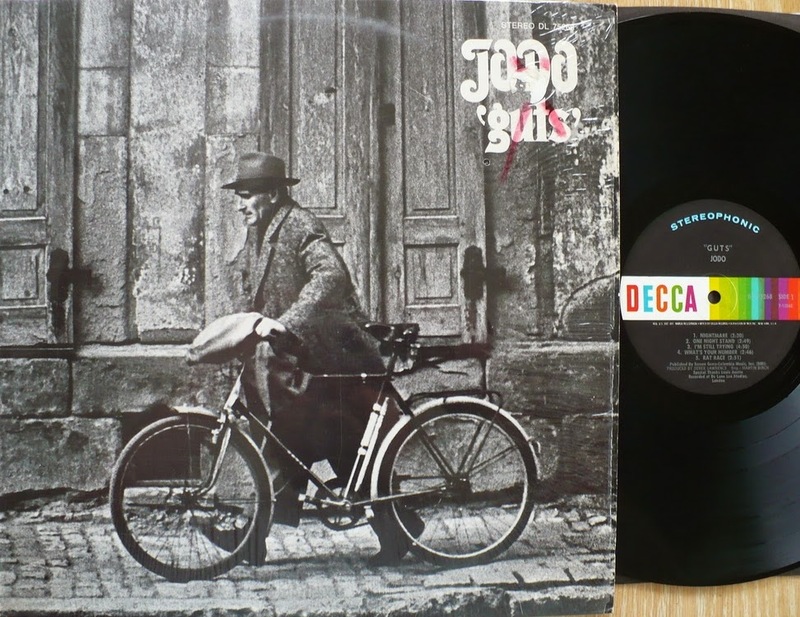 Jodo's "Guts" LP is a favourite album which I found way back, and have often wondered about as there is so little information out there, making it something of an enigma. Spurred on by recently finding an original copy of the LP, I have contacted Rod Alexander, founding member and guitarist of Jodo. The word 'Jodo' is the name of a Japanese martial art using a short staff, read on though, as this may not be the reason for the band's name... (n.b. according to liner notes on the Green Bullfrog Sessions, Jodo's former name was 'Biskit'). The 1971 album 'Guts' is a really great blues rock album, with catchy songs and great performances from all the members. There's healthy doses of heavy riffs to keep you grooving, along with those is plenty of canny pop sensibility and some earthy blues, even some topical lyrics on race issues in the track "There's Still Time". All round, it's one of those albums which makes you think, "This band had the chops to contend with the big boys, and be successful. How come they seem to have been completely passed-by at the time, and more or less forgotten now?". It's a slick, well executed set, clearly catching on to the blues rock boom of bands like Cream and Led Zep, but in there with the seriously big riffs is an accessible and light-hearted angle, with a spirit of fun that's evident when compared to those two giants. There are a few things that have helped to shroud Jodo in mystery. The first being the cryptic album cover, showing an old picture of a man with a bicycle. It gives away nothing about the band, no band pictures and barely any credits, a ploy which may have worked for Pink Floyd, but isn't going to do any favours for a little-publicised band's first album. Another is that they were seemingly an English band, but their sole album was never released in the UK, only in the US and bizarrely, in New Zealand, all to little fanfare. Further searching finds that vocalist Earl Jordan later released at least one solo album, and was a member of a German singing troupe that has been referenced in TDATS before, The Les Humphries Singers. 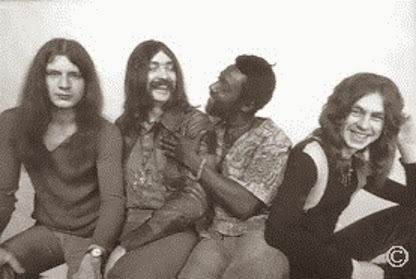 This group, started by Englishman Les Humphries, also included John Lawton, who was the singer in Lucifer's Friend (see Vol2 and Vol30) and Uriah Heep for a spell. Earl also contributed vocals to the jam album par-excellence, "The Green Bullfrog Sessions" (see Vol13 and Vol59). If allmusic.com is correct, he also contributed on a Starlight Express soundtrack LP. Earl seems to have worked on a few musicals, including the Eddie Hardin/Roger Glover-helmed prog rock opera "The Butterfly Ball" (1974), a clip from which shows Earl singing Old Blind Mole. I am not sure that the audio is Earl's voice there though. Drummer Brian "Chico" Greenwood has come up from time to time in my searches also. He played on the Trifle album I used on the brassrock Vol93 and he is credited on many albums of the period, including those from acts such as Moonrider, Jasper, Ace, Nicky James, The Electric Banana and Phil May. 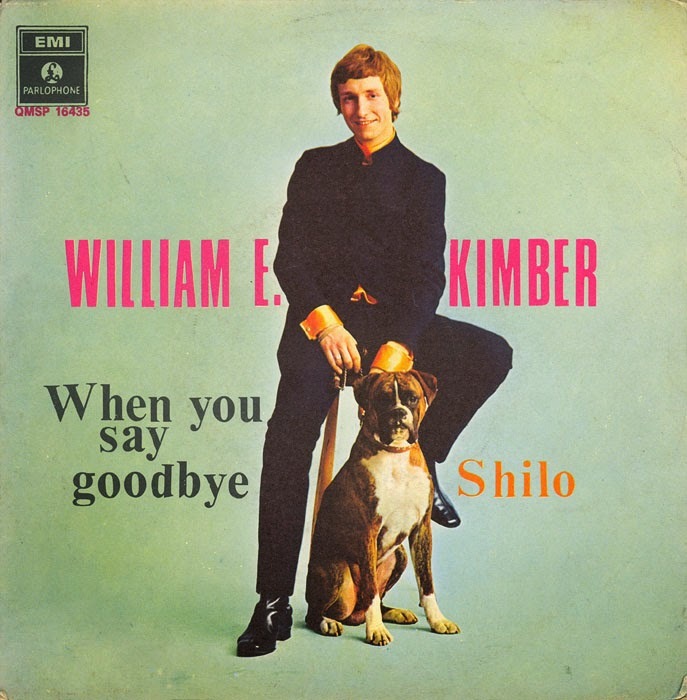 Vocalist William E. (Bill) Kimber has been hard to find background on, it appears he was in South Africa for some time in the former half of the sixties, singing and playing rhythm guitar in The Couriers. I have also found some evidence of solo UK singles made just after that. 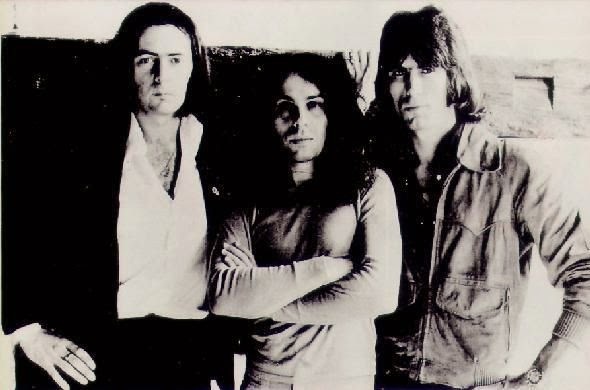 After Jodo, he and Rod Alexander formed a duo called Axe, who made a few singles between '72-'74, at least one of which ("Running Wild") included Chico Greenwood. I have been unable to confirm this, but I think Bill quit being a performer in the latter part of the '70s and is the same Bill Kimber who went into music publishing/ management, becoming A&R manager for RCA records and having success working with well-known pop acts like The Bay City Rollers, Bucks Fizz and most notably, signing The Eurythmics. I found some of this information here. Bassist Jon Taylor is the most elusive member. He played in "Jasper" with Chico, and awesome band Killing Floor (see Vol7). He was also a belated, but important member of Litttle Free Rock, and the story of how he joined them can be found at The Official Little Free Rock Web Site. As for Rod himself, I found a useful account of his career here. After starting out with local Cumbrian bands, he moved to London. Amongst other things, he caught a break with Australia's top artiste Johnny Young and toured Australia and Europe. 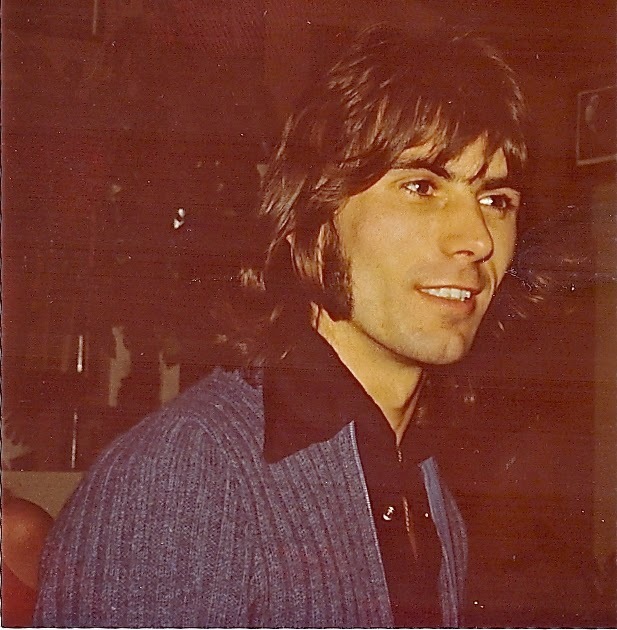 After Jodo he had a lot of work, including Joe Brown's band, Blackwater Junction, session work with the likes of Brotherhood of Man, Mike Berry and Johnny Howard's 18 piece big band. While still producing and writing music, Rod entered other types of work such as music management, and a stint with Europe's distributor of Fender guitars, Arbiter. 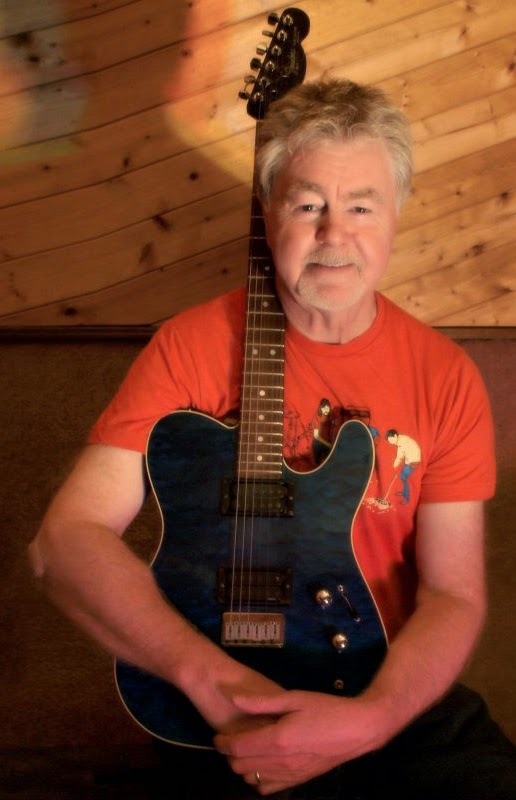 Rod continues in music with Triangle Writers UK and the Alexander Dale Band (fb). Here's a few questions which Rod very kindly answered, exclusively for TDATS. This helps to expose some of Jodo's long-held secrets. Q01. Hi Rod, thanks for doing this! How and why did you become a musician, and why guitar/bass as preferences? Rod: I first heard Les Paul & Mary Ford in a cinema with my mother. I was very young, but remember asking her what instrument was playing. I had previously shown no interest in music. Then years later, in my teens I started listening to Eddie Cochran, Gene Vincent, Elvis, & Buddy Holly. Here in the U.K., we had Cliff Richard & the Shadows, & Johnny Kidd & the Pirates. Hearing solos by Cliff Gallup, Scotty Moore, & James Burton was a huge influence, & U.K. records such as "Move It" By Cliff Richard, & "Shakin' All Over" by Johnny Kidd sealed my interest. 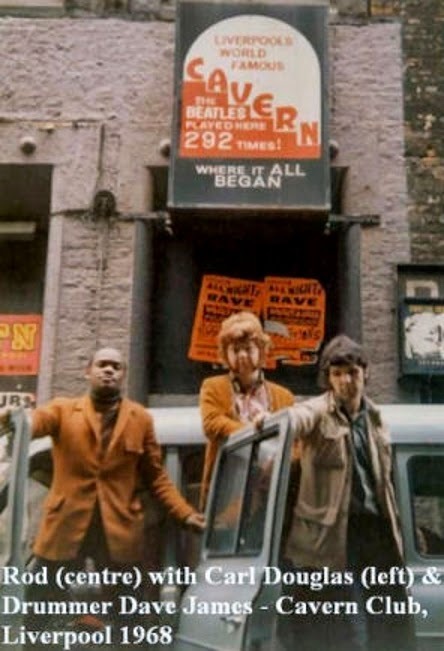 From then on, Beatles, Rolling Stones, Kinks, Hollies, Who, Cream, Hendrix, Led Zep…. I moved to London from the Lake District, & after working in a music shop for a while got into the session scene as well as doing gigs with the likes of Helen Shapiro, Mike Berry, Peter Sarstedt, Joe Brown, & Carl (Kung Fu Fighting) Douglas, whose band I was in for 2 years, & Dave Curtis, who went on to write "Ray Of Light" for Madonna. I was also in bands that supported the Moody Blues, Martha & the Vandellas, Little Walter, Koko Taylor, Small Faces, Ben E. King & others. I got really into Crosby, Stills, & Nash with their superb harmonies, & Stills guitar playing. Later on I was into Dire Straits, Gary Moore, Level 42, & ZZ Top. Electric guitar was the only instrument for me. I am however very interested in vocal harmony. Q02. How and where did the members of Jodo meet? What prompted the formation of the band? 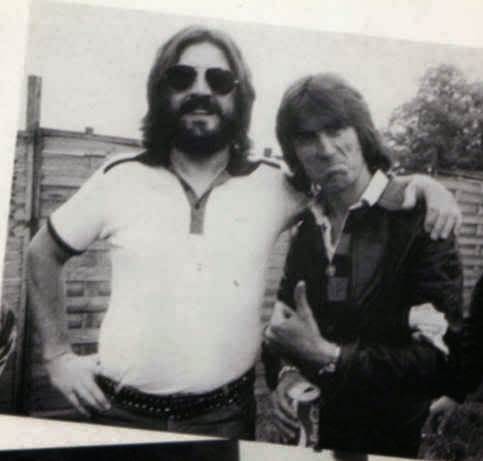 Bill Kimber & I met when I was recording at Polydor studios in London. We formed an act called "AXE". It was basically a writing & production idea. However, we had a minor hit with a single called "Running Wild". Axe also released "People Come, People Go", & "You'd Better Keep Outa My Way". 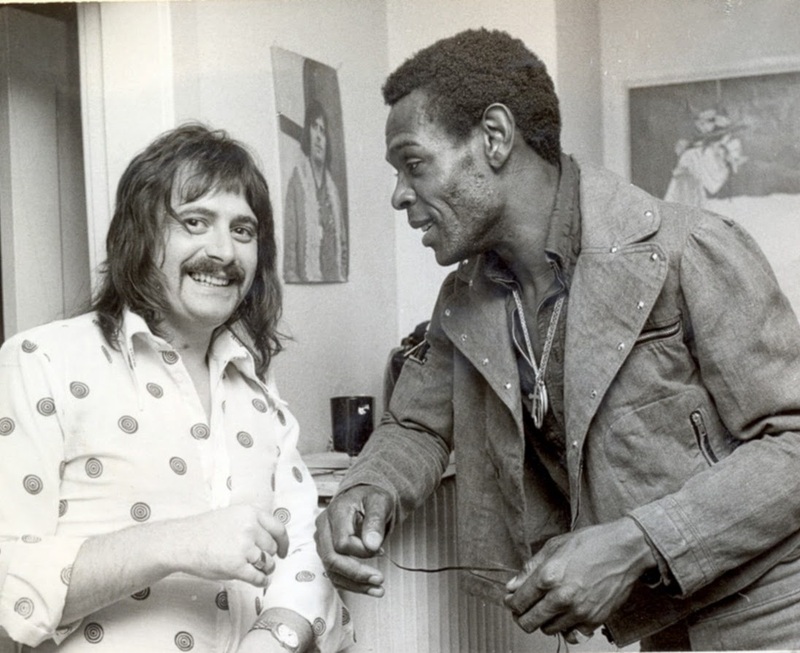 I had known & worked with drummer Chico Greenwood for several years. Chico told me about bass player Jon Taylor, who he had worked with in a blues band called "Union Blues" [aka "Jasper"]. I met Earl when we both worked on the "GREEN BULLFROG SESSIONS" album. JODO was essentially a 5 piece. We had tried several keyboard players, but used a session player on some tracks of the "GUTS" album. Q03. What's the story on the band's name and the LP art work? In the U.S., a homeless person or someone of unknown identity is known as a "John Doe". I think it was Derek Lawrence who suggested the name by shortening "John Doe" to Jo Do...hence JODO! !.....the man on the bike. According to my vinyl copy of "Guts", sleeve design was by Virginia Clark....photography by Bruno Shreck. Q04. 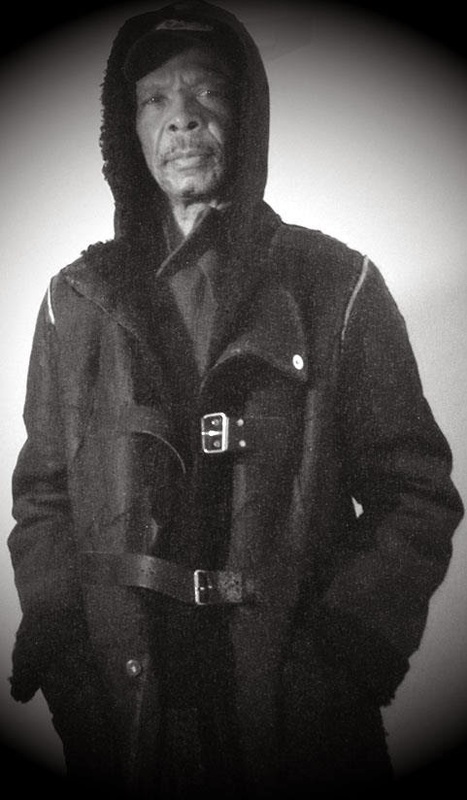 Did Jodo play any gigs or festivals? AXE & JODO both played some live gigs in & around London, But where & When I cannot remember. Q05. 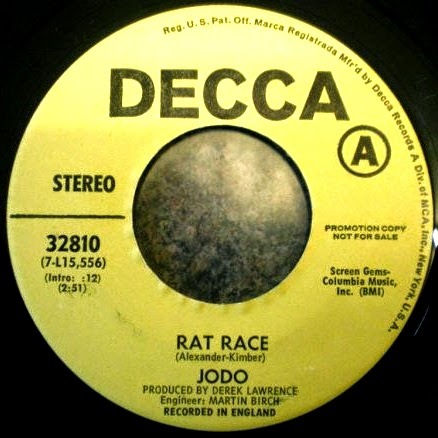 How did Jodo get signed to the Decca/MCA label? I met Ritchie Blackmore of Deep Purple. He came to one of our rehearsals, liked the band, & recommended us to producer Derek Lawrence, who then produced the "GUTS" album. Q06. Could you confirm the band members and production credits? Q07. 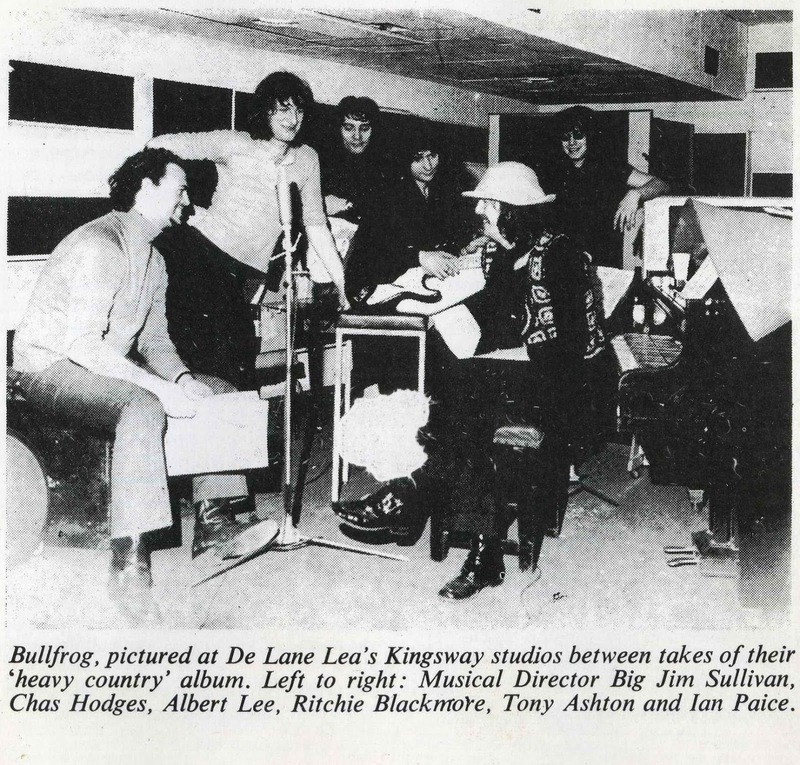 “Guts” was recorded at De Lane studios, London. When was this? Can you describe the session, and some stand-out memories of doing it? 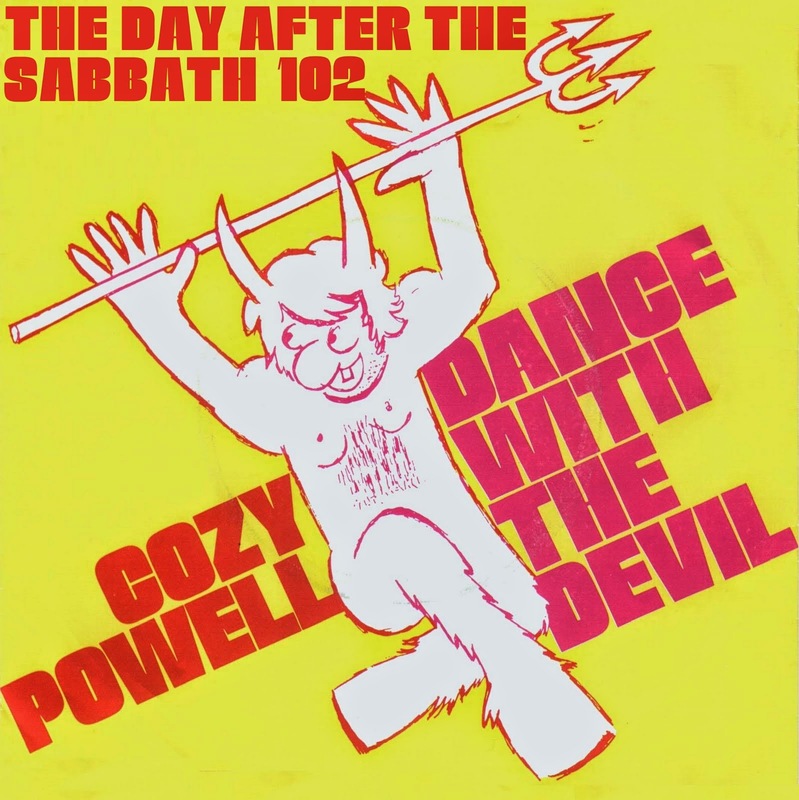 The album was recorded over 3 sessions in 1971. Fortunately, we were very well rehearsed, so the initial tracks went down quite well. There were a few guitar solos to do, & a few harmony guitar overdubs. The vocals were done very quickly, both Bill & Earl had plenty of studio experience. There are one or two mistakes on it, but we left them as we felt we had a good raw "live" feel. Q08. What equipment did you and he band use? As far as equipment goes, Jon Taylor played a Fender Precision bass, Chico played a conventional Premier drum kit. I was a one guitar man. The Gibson SG Special was superb...Ritchie asked me to sell it to him!! If I ever had to play acoustic guitar, I used an Ovation. I played my Gibson through a Marshall 50watt amp with one Marshall 4 x 12. I don't think I used any effects except perhaps a Vox wah pedal. We basically cranked up the volume & did it!! Q09. Jodo’s music is fantastic, all the members’ performances gel brilliantly. It has heavy blues sounds like contemporaries Cream and Led Zep (One Night Stand, Nightmare), an upbeat pop edge (Rat Race, Seventeen) and slow-burning blues (Pushing). Earl Jordan's vocal performance is charismatic and excellent, as is Bill Kimber's. Can you explain your thoughts on the bands’ versatility and what influenced the sound of Jodo? What was the song-writing process of the band? And who was the creative leader(s) of the band, if there was one? The interplay between the two main vocalists was tremendous on live gigs. What a pity we didn't do more of them! The writing was all done by Bill Kimber & myself, with the occasional help from various members. I used to come up with the riffs & arrangements, Bill would come up with either a title or theme, then we would finish the song off together. We had written quite a lot together before JODO. Q10. Do you have any favourite Jodo songs, if so why? Can you remember anything about playing any of them, ones which were hard to play, or most fun to play for instance? 3 tracks bring back memories; It's No Good...Kimber & I thought it would be good if the lead vocal was done in octaves. Only trouble was I wanted it in a particular key (I think E), so I could get that nice crungey feel to the track. When we went back to do the vocals, neither Earl nor I could reach the high notes, so poor Bill bravely did it by sheer brute force & effort (no voice processors in those days!!) I still feel for him when I hear that track. Seventeen....Kimber got his own back on me on this. I came up with the lead intro phrase after listening to a couple of Blackmore tracks. When I had got a decent take of it, Bill said "now why don't you track it in harmony?" It was a bit of a struggle but I managed it. Wish You'd Never Been Born....I just love the manic feel to this. The SG was a great guitar to play, & just loved to scream its head off. Amp was flat out. Q10. 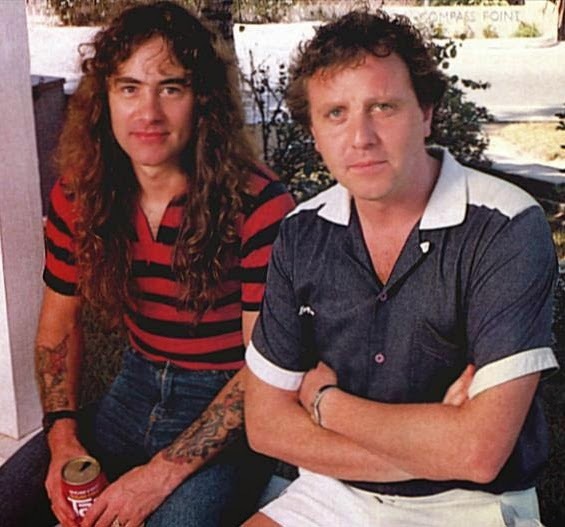 How did engineer Martin Birch (Black Sabbath, Deep Purple, Iron Maiden) and producer Derek Lawrence (Deep Purple, Green Bullfrog, Wishbone Ash, Angel) get involved? How much input did they have in the session and the resulting album? We have to thank Ritchie Blackmore for the introduction to Derek Lawrence, & for the chance to play on the GREEN BULLFROG SESSIONS. Martin Birch proved to be tremendous in the studio…A great guy to work with. Q12. An observation I have seen others make quite a few times is that Guts wasn't released in the UK, do you know why? I have seen issues from the US, New Zealand and Germany, but never the UK. I don't know what happened about the U.K. release. I didn't even know it had been released in New Zealand. I think the CD version is produced in Germany. I have tried for several years to get information from PRS & MCPS regarding sales, but without success. Q13. “Rat Race / Wish You'd Never Been Born” were pressed on a 45. Was it released as a single or was it for promo only? Don't know. I think it was promo only. Q14. Do you think Jodo had the potential for more success than you ultimately had? The band was certainly good enough, but there were a lot of other good U.K. bands around too. In retrospect, we probably should have gone to the U.S. The band would have worked as a unit, we rehearsed a lot & sounded good, but with no U.K. release, we all headed off our separate ways. JODO were only together for 2 years. The decision to split was totally amicable. We never started a 2nd album. Q15. What have you done since Jodo, in music or otherwise, and would you like to tell us about anything you are doing now? Over recent years I have carried on gigging, recording, & writing, as well as working as a consultant in both publishing & Musical instrument retail. I produced 2 CDs under the name of Triangle Writers UK, featuring highly talented female vocalist Jen Molineaux. Titles were "POINT OF ORDER", & "IT'S MY CITY", & recently wrote & produced "OUT OF CONTROL" CD by the Alexander Dale Band. Q16. Can you tell us what you know about the other members’ careers after Jodo? I saw that Earl made at least one solo album, and joined the Les Humphries singers. I think Bill is still involved in music management. I did hear that Earl was doing very well in one of the top West End Musical shows. Chico bought a hotel, and enjoys living in the West Country. Jon moved to New York. Q17. Finally, do you have any great Jodo memories or stories (amusing or otherwise) that you think would give readers some more insight into the times and the band? So long ago, I can't remember any stories that are printable. However, one incident springs to mind; We set off on a gig, somewhere in Sussex. On arriving, we were greeted by a charming elderly man who informed me "I just love the music of the Islands". I was puzzled for a few seconds, then realised he had tried to book a Hawaiian band!! The guys all looked at me in amazement...it was too late to get anyone else, so I said" turn right down & lots of guitar solos". Somehow we got away with it...the old chap was happy, & we all got paid.